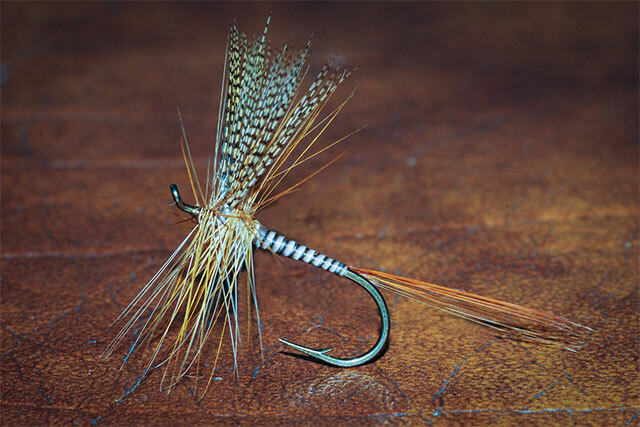 Few fly patterns can claim the history, beauty, and effectiveness of Catskill style dry flies. 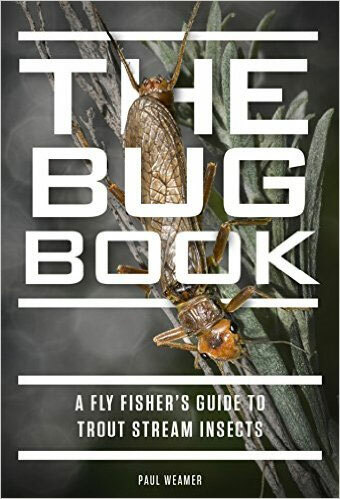 Anglers who wish to tie or purchase the best fish-catching flies need to understand trigger mechanisms. A trigger mechanism is a fly pattern component that makes a fish choose to eat it. Many times a trout has swum beneath my dry fly, looking at it, but refusing to eat it. Those flies did not have good trigger mechanisms for that fish on that day. This is a relatively common phenomenon, particularly in famous fisheries where the trout are wild and often caught and released more than once during a fishing season. These fish have been programmed to be more cautious when they feed, making them difficult to catch. But they are also often the largest fish, so it’s hard to just ignore them in favor of easier targets. So how does an angler find a trigger mechanism? First, you need to make sure that you’re imitating the proper aquatic insect hatch. On fertile waters, it’s common for more than one insect to be hatching at a time. Wild fish are often individualistic feeders so, simultaneously, one might be eating mayfly spinners while another is feeding on midges and yet one more is eating caddisflies. Anglers call these overlapping insect emergences masking hatches, particularly if one hatch is heavy and obvious while the other hatches are sparse. Once you determine what the fish is eating, then you need to find the best fly pattern with a triggering mechanism. This can be a large, oversized wing, or heavy hackle, that gets the fish’s attention. Using flies that are tied larger than the naturals during heavy mayfly emergences and spinnerfalls is sometimes a triggering mechanism. Adding a little bit of flashy, synthetic materials to your fly patterns can sometime trigger a trout to feed. Incorporating a trailing shuck that makes the fly look more vulnerable will often work. But just about anything that can be a triggering mechanism can also be the reason a trout won’t eat your fly. So how do you know where to start? The Book Book by Paul Weamer. Buy for Kindle, IPad and other devices on Amazon. There is no easy, one-size-fits-all answer. You might have to try several fly patterns, one at a time, and let the fish tell you what is best. Generally you want to fish as simply as possible. So I start my day with natural colored flies, sized as close to the natural as possible, on the longest leader I can fish for that given water (small streams will require shorter leaders than large rivers), and I fish those flies drag free. When an artificial fly floats unnaturally because it is tied to the fly rod, it is called drag. Unnatural drag is probably the greatest hindrance for catching fish. This phenomenon is the exact opposite of a triggering mechanism, and is more akin to a large neon sign screaming, “Do not eat me!” Drag can be combated two ways: Using longer leaders with finer tippets and by mending the fly line. Mending the line is done by moving it to a place in the air or water where the effects of drag are least. Aerial mends, like the reach cast, are done in the air before the fly is laid on the water. You perform a reach cast by smoothly sweeping the rod upstream as the line straightens, just before it settles to the water. This cast creates slack in the system by putting the fly downstream of the leader and line. The fly can now float drag free until the line and leader catch up to it. You can also mend on the water by gently flipping the fly line between your rod tip and leader up or down stream to control drag. If I’m not catching fish and I’m getting good drag-free drifts, then it’s time to try something else. Perhaps the trigger will be found by imitating another aquatic insect, or with another fly pattern to imitate the same insect. Maybe it will be found by moving my fly rather than fishing it drag free. The only way to know is to try. And it’s this game that is seldom played the same way with the same flies two days in a row, which keeps us from getting bored even after fly fishing for decades. The following fly patterns each have their own triggering mechanisms that are created by the choice of materials used to tie them and how they are fished.